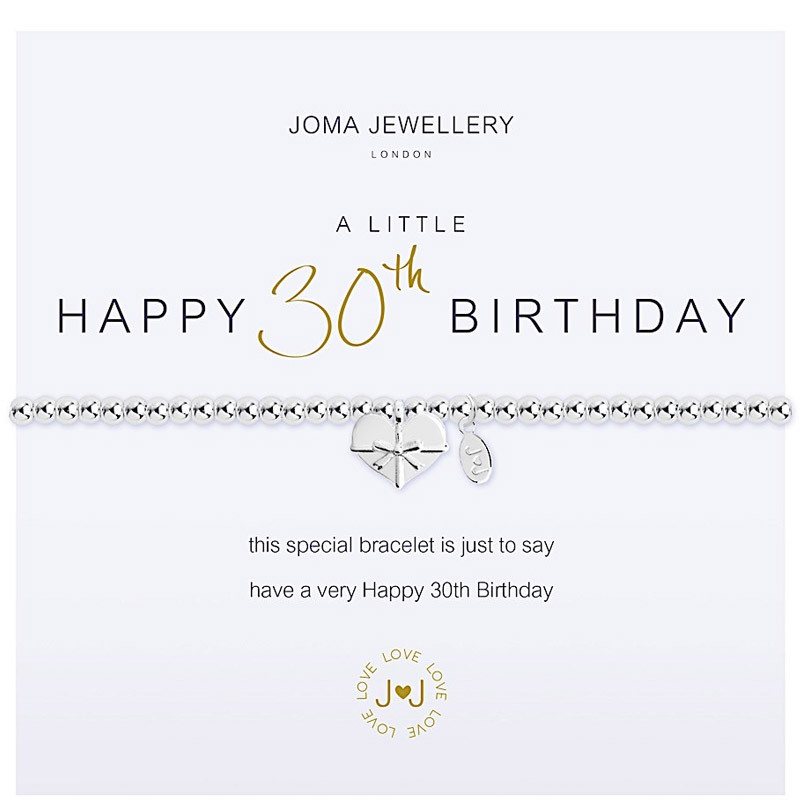 What better gift to give to someone special on their 30th Birthday than this beautiful Joma Jewellery a little Happy 30th Silver Bracelet. 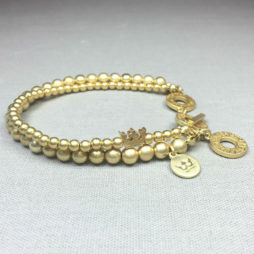 Detailed with a rounded silver plated heart charm wrapped in a bow on a simple silver plated beaded bracelet with the words ‘a little HAPPY 30th BIRTHDAY this special bracelet is just to say have a very Happy 30th Birthday’. 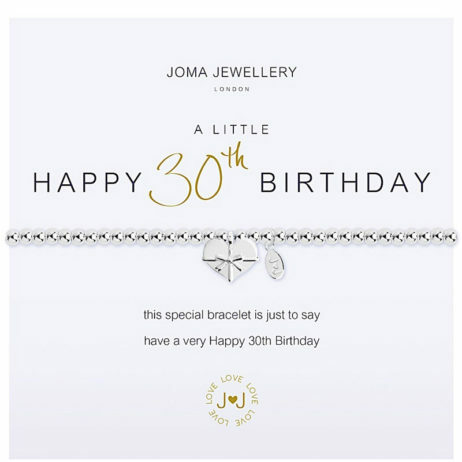 Joma Jewellery a little Happy 30th Birthday Silver Bracelet – A milestone birthday sentiment from Joma Jewellery’s bracelet range. 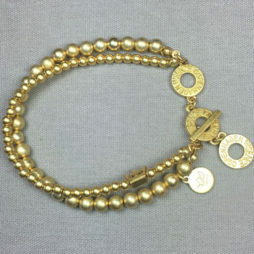 The bracelet is stretchy and a standard adult size. It arrives presented in a lovely Joma Jewellery gift bag with silk ribbon and gift tag for you to personalize. 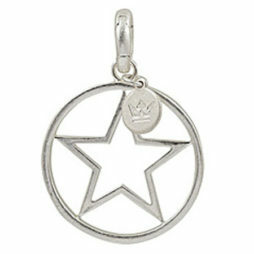 Free UK postage on all Joma Jewellery Orders from Lizzielane. Joma was established in 2008, to create and celebrate ageless lovely jewellery that could be collected, used and loved again and again. Joma still have the very same perspective now that they had then. From their first capsule collection created on their journeys through the Far East. They have actually been exceptionally fortunate to employ their fantastic team to establish and grow Joma Jewellery into a country wide loved brand name. 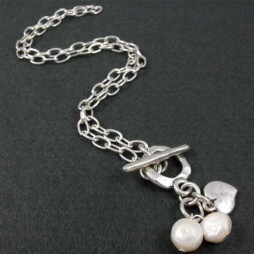 Jewellery is exceptionally unique and always holds valuable memories and moments that are totally distinct and individual. 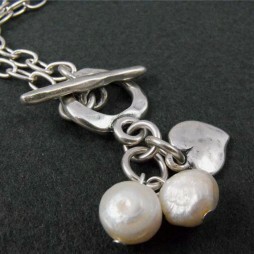 The magic that each piece can hold for you, drives them to produce beautiful new pieces every season, for every moment. This has actually been, by far the most amazing journey of their lives and they hope you like it as much as they do. I ordered this for a relatives 30th birthday. Arrived nice and quickly with lovely decorative box. Beautiful jewellery and an excellent service! I will be recommending you to all of my friends.